A two-hour drive from Chiclayo, that´s how long it takes to arrive in Piura where you will find our operations in Peru. After driving through either the largest mountain range in the world (aka the famed Andes) or through one of the driest deserts on earth, you will follow a man-made river that connects our farms to our packing and processing facilities. Seek and ye shall find. We always knew we wanted to expand, but to where? When we started asking around, naturally we were looking for the best experts in the industry. Enter Jan Bernhardt. It took us a year of hearing his name and his spectacular projects in this amazing area to finally sit down with him. 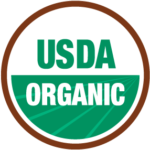 30 minutes into our first meeting, and after talking about world farming and organics, we all realized that we were on the same page. That´s how Simply Natural started its partnership with Pronatur. Pronatur is a multisectoral organization that promotes the development of ecological and sustainable agriculture. It is an agricultural cooperative also called the farmer´s co-op. We integrate small-scale marginal fruit producers into efficient, productive chains and consolidate the commercial cycle. We now work with more than 2,700 partners. We not only help them convert their farms to Organic. we invest in their farms as well. In Peru not one drop comes from the sky for every 10 years. And when it comes, boy does it rain hard, which sometimes raises concerns for potential flooding. Don’t forget about El Niño. Where it will rain for weeks at a time. Did you know how El Niño got its name? This phenomenon usually happens during Christmas time – the celebration of the birth of “the boy” (El Niño) Jesus. It’s a good thing we build river beds close by so that the water has a place to go. Can you say prepared? The fruit harvested from our land can be sold in two different ways. The majority of the fruits will be going directly to the fresh markets but produce with minor blemishes that do not meet our exceptionally high standards for fresh markets are processed for the commercial market. This ensures we maintain our core values of sustainability eliminating waste and returning the highest possible profit to our farm partners. These “ugly fruits” will be converted in value-added products such as puree, juices, pulp and/or IQF (Instant Quick Freeze) chunks. These products are shipped to restaurants and bars to create fruit-based foods and beverages. We do everything we can to minimize damaged fruits, it is inevitable that natural farming will produce some fruits requiring processing at our state-of-the-art, super shiny and clean processing facility. Talk about a different kind of technology! At the packing facility, a really smart machine classifies the fruits into sizes and categories. The fruits will then be cleaned, labeled and packed into cases. All the cases are stacked on pallets, stored in a cool chamber and loaded into a 40 foot container. This entire process is called “machining” and costs an average of $4,000 dollars per container.